A posthumous, never-before-published collection of stories from a brilliant yet little known African American artist and filmmaker whose prescient work has recently resurfaced to wide acclaim. ...a multidimensional revelation whose invisibility until now is as grievous a loss to literature as the near-disappearance of Losing Ground has been to the world of movies ... delves deep into modern history and personal experience to yield, in calm yet prismatic phrases, urgent and deeply affecting insights into her times, which echo disturbingly today ... Collins’s style is fine, graceful, and reserved, but pierced with the harsh simplicity of lurking menace. It’s not a style that grabs at life but that moves into it, that passes through it with a quietly adamant determination to keep going but without any illusions about taking action. Collins’ impressionistic, psychologically observant collection captures moments from a past era that should remind idealistic readers today that our disillusionment is not new ... At every turn, Collins burrows deep into the minds of her characters, mostly black women, and brings to life their daily joys and frustrations as well as their persistent anxieties ... Nearly 30 years after her too-early passing, this author’s powerful debut collection manages to perfectly embody the existential torment of her country. In all of [the stories] we hear a voice—black, urban, unmistakably rooted in lived experience—speaking not only to let us know what it felt like to be living inside that complex identity, but to make large, imaginative use of it, the way [Grace] Paley used her New York Jewishness to explore the astonishment of human existence ... What we have here, in Collins’s sixteen stories, is sensibility in service of a state of mind whose authenticity none, I think, can challenge. Written in the 1970s and 1980s, when African-American writing was ablaze with rage and righteousness, they might have seemed too nuanced to make an impression. Coming to us as they do now, when we are living once more through a period of flaring racism that has brought talented protest writing to a new level, they strike a note on the one hand oddly original, on the other painfully familiar. Either way it drags at the heart. 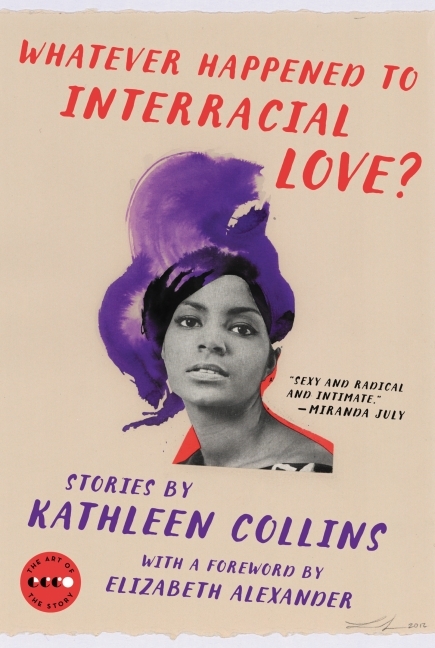 What did you think of Whatever Happened to Interracial Love? ?